The Admin Diary Frontend offers a (UMC) web interface to display events chronologically, to search or store notes on events. After installing the app in the UCS domain, all UCS servers are automatically able to log events. 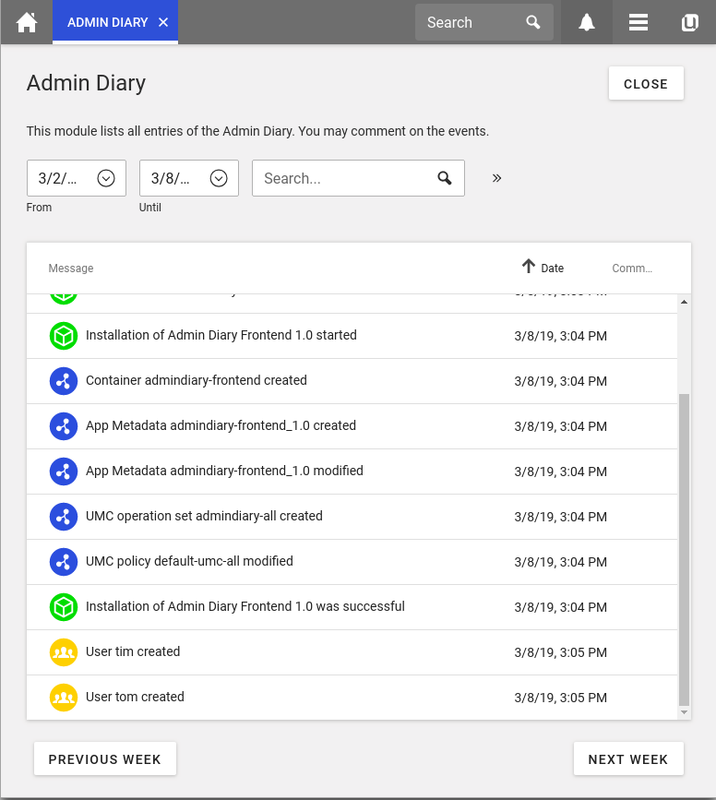 The Admin Diary Frontend requires an installed Admin Diary Backend. If the backend was not installed on the same system, the steps in the SDB article must be followed. This app installs the Frontend. 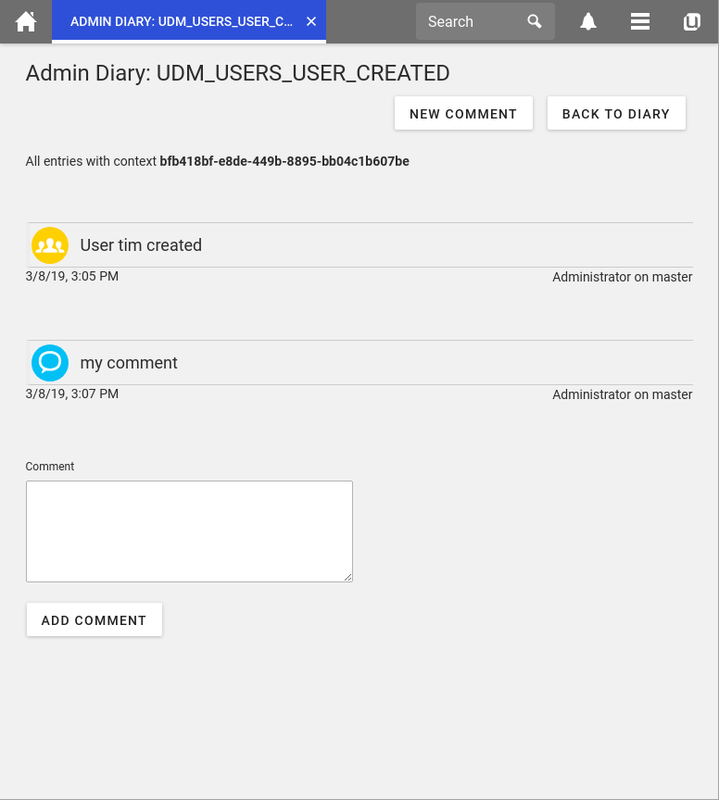 Download UCS and activate Admin Diary Frontend directly from the App Center.